S K Yee 1904 - ???? 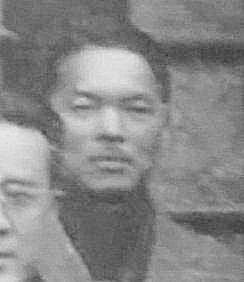 Thirty seven year old Colonel Yee Shiu Kee (S.K. Yee) known as S.K. by the British was Adm Chan Chak's number two in the Chinese Military Mission in Hong Kong. S.K. was instrumental in keeping the vast Chinese population of Hong Kong pro-British during the events leading up to and including the Japanese invasion of the Crown Colony. Admiral Chan Chak had an office in the Asiatic Petroleum Company building (APC) better known as Shell House in Queens Road trading in stocks under the cover of Wah Kee & Co. [China & Company] in 1938. S.K Yee spoke fluent English without any accent  and was also working under cover as an insurance broker, with the British Police and intelligence service since the Japanese occupation of southern China assisting David MacDougall of the Ministry of Information (MoI) in matters of the Chinese public morale within the British colony. When Hong Kong fell to the Japanese on Christmas Day 1941 Adm Chan Chak's delegation had pre-arranged an escape plan with the British authorities by sea with the 2nd MTB Flotilla. Maj Goring : "At 2.45pm on Christmas Day the Commodore strode into the operations room, picked up the phone, called Aberdeen Harbour, and gave orders that the motor torpedo-boats were to sail instantly. I looked up from my work, and the Commodore smiled at me rather sadly. 'Sorry', he said 'but they've got to go at once. They'll be sailing in five minutes'. Goring was busy with organising the surrender, so ordered the other officers involved with the escape to make their way quickly down to Queens Road where they had a car waiting. While they piled into the car Captain Peter Macmillan went up to Chan's office on the fourth floor of the Pedder building to collect the Adm and his party. Arriving in Aberdeen they learned of the surrender and were disappointed that the flotilla was nowhere to be seen. Major Goring arrived soon after, and finding a small launch at the pier being worked on by some navy ratings decided to make good their escape with it. Upon leaving Aberdeen harbour they were soon spotted by some Japanese soldiers who opened fire hitting several onboard and the engine. The escape party abandoned the launch under a hail of machine-gun fire opposite what is now known as Ap-Lei-Pai the islet off the end of Aberdeen Island (Ap-Lei_Chau). 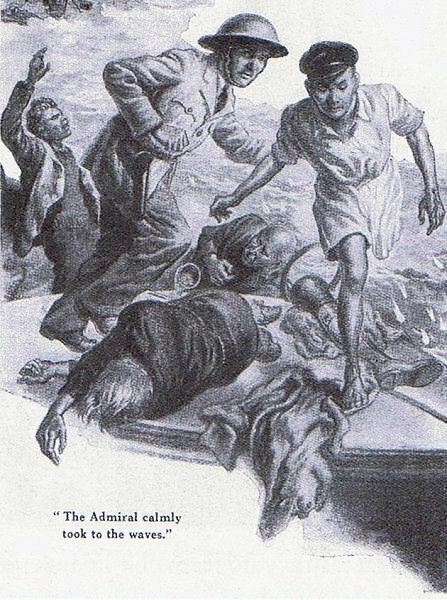 Adm Chan Chak was hit in the head and arm after he had removed his wooden leg, allegedly containing some $40.000. S.K. claimed he could not swim and elected to stay onboard as Chan and the others swam towards the islet under a hail of machine-gun fire. Adm Chan Chak and Colonel S.K. Yee led the internal war on the 5th Columnists from the front, killing hundreds personally. 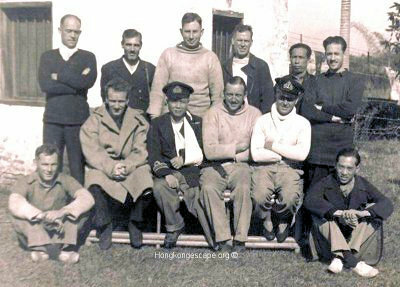 After the war SK returned to Hong Kong working in the transport division for the British Military Mission alongside fellow escapee Ted Ross, whose former boss in the MoI David MacDougall had returned as Brigadier Colonial Secretary. Max Oxford also returned as Deputy director of kai Tak airport. He remained life-long friends with them. His former boss Adm Chan Chak became the first post war Mayor of Canton. SK went into banking with the independent United Chinese Bank in Hong Kong, now The Bank of East Asia Ltd. In November 1983 he set up the S.K. Yee Medical Foundation with the considerable wealth he had built up from his banking career. His wife Hannah founded the Hong Kong Family Planning Association. Although he married a German-trained Methodist minister's daughter (one of seven) Hannah (Hu Zhujun), a medical doctor he met in the USA, they did not have any children. However his nephew (by marriage) Richard Hu Bellamy went on to become a celebrated New York art dealer in the 1960's. SK was referred to simply as "The General" locally.